DJ Craig has been a Sarasota resident since 1994. He relocated from New Jersey, where he started his DJ business while in college. 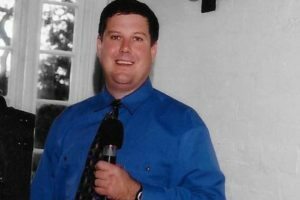 Craig has performed at over 3,000 weddings and events and is one of the favorites in this area with banquet managers, photographers and other wedding professionals. DJ Chuck's background in radio has given him the extra edge in performing. 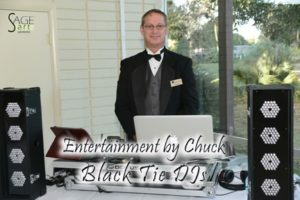 He has been with Black Tie since 2001 and has performed at over 2,500 events. He is always willing to go the extra mile for our brides & grooms. His caring, professional manner makes him a favorite with everyone. 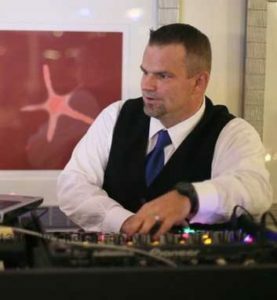 DJ Jim brings a northern flair and lots of experience to each and every Black Tie DJ event at which he performs. A transplant from Boston, he has been a Florida DJ for over 12 years. Jim is a popular choice for all age groups from teens to senior events. DJ Ray has been part of our team since 1998. He is a natural born Disc Jockey with a degree in communications working on radio in New York from 1989 - 1998 as a DJ and music director. He has a collection of over 100,000 songs and has performed at 2,200+ weddings throughout his career. DJ Brian was born right here in Sarasota and has been a DJ since his teenage years. He is full of energy and enthusiasm, is excellent at all types of events and specializes in weddings.